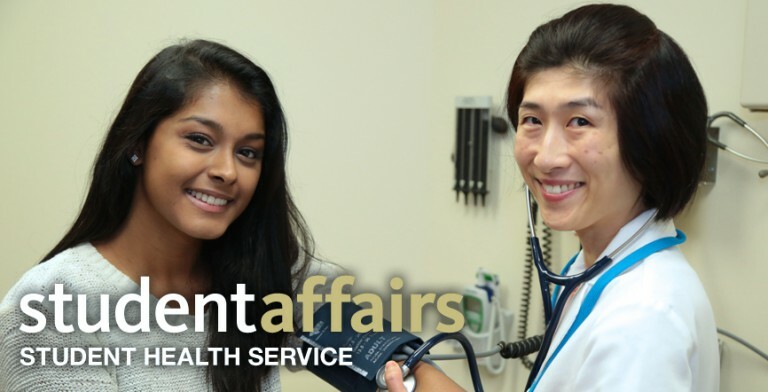 Home > Student Health Service > NEED AN APPOINTMENT? Go to Student Health Service at the Wellness Center located in Nordenberg Hall, 119 University Place (2nd Floor), and speak with a receptionist. Be sure to have your PeopleSoft ID#, your student ID card, and your health insurance card available. Call 412-383-1800 and speak with a receptionist. Be sure to have your PeopleSoft ID# and your health insurance card available. We now offer a variety of easy access Online Portal Services to our Oakland Campus students thru the University Student Portal site. It is the policy of the University of Pittsburgh Student Health Service (SHS) not to issue medical excuses covering class absences, missed project deadlines or exams. Students are responsible for notifying their professors or instructors of an absence caused by illness or injury. Student Health Services will not provide medical excuses to individual students upon their requests or requests from parents. The clinicians at SHS are not able to function as independent arbitrators regarding whether a student feels too ill to do their work. It is the purview of faculty to determine if a student will be excused from class, an exam or assignment. However, SHS can provide appropriate documentation of a patient visit. Students who are seen at SHS for an active illness may request proof of the visit. Due to policies involving confidentiality of medical information, only the date and time of the visit will be provided and no details of the nature of the illness or judgments regarding academic responsibilities is mentioned. This documentation can be requested by the student from the receptionist at the conclusion of the clinic visit. However, in the event of an extenuating circumstance, such as a hospitalization, SHS will provide a note from the clinician to the professor or ROTC officer. These are rare occurrences and require the student to sign a release in advance giving the clinician permission to generate an appropriate reply. Such occurrences also require the approval of the SHS Director. This must be done prior to issuing the medical excuse. CLICK HERE to go to Online Portal Services for instructions on using the Online Student Health Service.